Story: Will Smith stars in this action thriller inspired by the classic short story collection by Isaac Asimov, and brought to the big screen by dynamic and visionary director Alex Proyas ("Dark City," "The Crow"). In the year 2035, robots are an everyday household item, and everyone trusts them, except one, slightly paranoid detective (Smith) investigating what he alone believes is a crime perpetrated by a robot. The case leads him to discover a far more frightening threat to the human race. 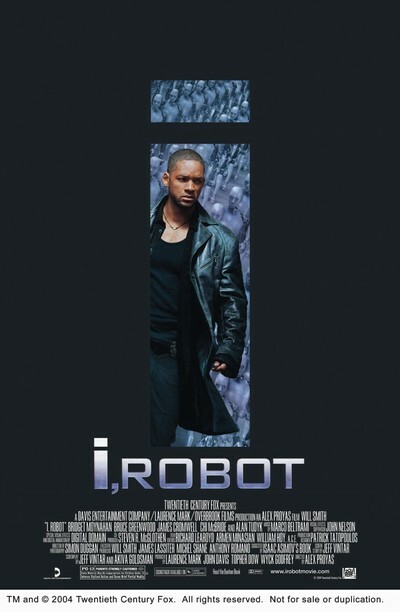 "I, Robot" uses a spectacular, state-of-the-art visual effects technique to bring a world of robots to life.